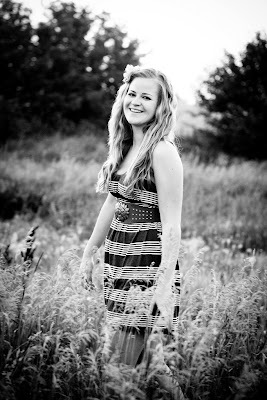 I am so very excited to have Melissa on my blog today! But let's just say you won't leave her blog without being hungry, or itching to make something cute! I LOVE this idea and wish I had the room in our kitchen to do it. Hola all of Meghan's wonderful readers! I'm Melissa and I blog over at 20 Going on 80. I am so excited to be hijacking Meghan's blog today to share with you a little craft project! This is me on a good day. Don't let that photo of me frolicking in a field of flowers fool you. The other 75% of the time, I'm in gym shorts and a tank top. 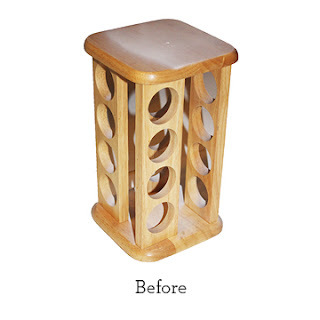 Since I know how much Meghan loves to thrift, I thought this next little makeover would be fun to share with all of you! One of my biggest kitchen obsessions is my sprinkle collection. Yup, that's right. I am a certified sprinkle collector. So when I came across this spice rack at Goodwill I knew exactly what I wanted to do with it! 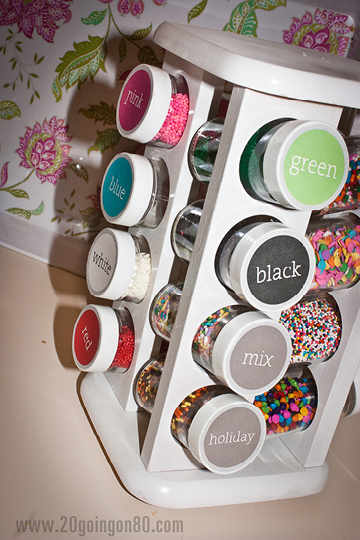 And that was to turn this old school wooden spice rack into a sprinkle displayer. Best part? I only paid $5 for it! And...Here it is after its little makeover! 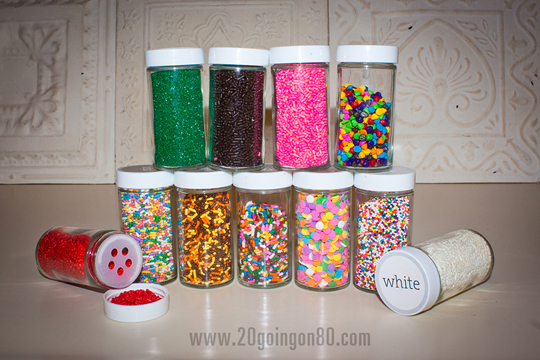 It's been a great way to store all my sprinkles without having them overflowing in my cabinet! You can find more tutorials, recipes, and printables over at my blog! What a great post! Melissa is fabulous and I too am a sprinkle lover! It turns any cupcake from ordinary to extra-ordinary! !